40 members of the Tuareg minority that’s indigenous to the sparsely populated but geographically grand two-thirds of Mali were killed near the Nigerien border by what are suspected to be Fulani members of Daesh’s regional franchise of the so-called “Islamic State of the Greater Sahara” (ISGS), which is the same group that’s responsible for last year’s deadly ambush against American troops in the neighboring country. According to reports, this mass murder was allegedly in response to the terrorists’ latest setbacks in the region at the hands of former ethnic Tuareg rebels who have been fighting on the government’s side since a 2015 peace deal, and one analysis suggests that this shocking act was designed to provoke the minorities into breaking their deal with the state and returning to their insurgency. As a brief backgrounder, the Tuareg are an historically nomadic people spread throughout the Greater Sahara region but concentrated mostly in modern-day Mali and Niger, the latter of which experienced several separatist struggles since independence. Following the NATO War on Libya, many Tuareg fighters returned to their Malian homeland to escape the racist genocide against black Africans in the former Jamahiriya that was being carried out by Western-backed terrorist gangs, bringing their military expertise and lots of heavy firepower back with them in order to start a large-scale rebellion. 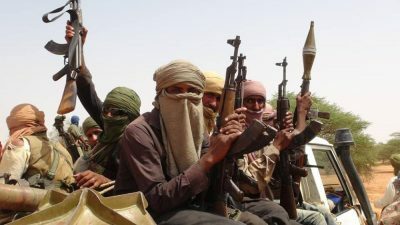 They almost succeeded in carving out the unilaterally proclaimed independent state of so-called “Azawad” but were stopped after their tactical Islamist allies of the Al Qaeda-linked “Ansar Dine” backstabbed them and were then exploited as the pretext for a 2013 French-led military intervention. Mali has since been a Mideast-like failed state from that time onwards, though the densely populated southwestern part of the country is comparatively more stable than its lawless northeast, where ethnic and land tensions between Tuaregs and Fulanis still simmer. The overarching geostrategic significance of the latest slaughter is that it proves that the conflict between these two groups and their most militantly active organizations is heating up and has the very dangerous potential of spilling across the border into the ultra-fragile state of Niger. This in turn could prompt more robust action by the French-led G5 Sahel regional counter-terrorist bloc that would likely also see some sort of “Lead From Behind” involvement by the US as well, with the end result being that West Africa begins to rival the post-Daesh Mideast as the world’s next terrorist hotspot.